Swing music was later than the Victorian era, but electro-swing music can call that retrofuturistic era to mind. 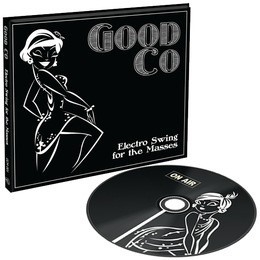 I recently saw this review of an electro-swing album, "Electro Swing For the Masses" by Good Co~, who features one of the musicians from the well-known Steampunk band Abney Park. Electro-swing is just what it sounds like: a fusion of electronic and swing music. For anyone who hasn't heard any of it, check it out! I must say i was VERY impressed! Thanks for sharing! I really really love electro swing. It's the best thing.